Request Page! | Oldies FM 97.3 Radio, YOUR Community Radio Station! Welcome to WSWO-LP, FM 97.3 and Streaming Live on the Internet at Daytonoldies.org! 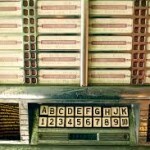 Click on the Jukebox at the Side of the page to go to our online streaming audio. For mobile devices, click the buttons below to download our mobile apps. Use the Contact form below to request a song (please, only one request per Email). If a DJ is on the air (vs. our hard working Mr. Automation! ), and if the DJ is monitoring the Email account, the DJ will see your request. First Name or Full Name. Whatever you are comfortable with. Let the DJ know where the Request is coming from so we can add you to our Map on the wall! We only play music from the 50’s, 60’s and 70’s and normally the library has only songs that made the top 40 list sometime in that time span. We do have gaps in our library we are trying to fill. If we don’t find your song we will add it to the “White Book” for our Program Manager to consider adding to the music library! If you want the song dedicated to someone…it is at the discretion of the On Air DJ if they will do that or not. On the Contact Form, please enter your First Name, City or Area, Song Name and Artist. We don’t need your last name or full address. We want to protect your privacy. Please be aware that the DJ is under no obligation to play your request, and not all DJ’s or shows will accept requests. Please be civil. Repetitive, abusive or harassing phone calls or E-Mails will not be tolerated and will be dealt with appropriately. THANK YOU for Listening to Oldies 97.3 Radio, FM 97.3 and on the web at daytonoldies.org. !